Play RIFT on Mac & Linux! The World of Telara Awaits Mac And Linux! You are not in Azeroth anymore! Ever since the March 1, 2011 release of RIFT, Mac and Linux users have secretly wondered if they would be let into the World of Telara. Wonder no more dear Mac and Linux users, CodeWeavers heard your silent cries. And thus, unveils the CrossTie file for all to have. With CrossOver Games 10.1 you too can roam the Planes of Telara with your fellow Windows friends. What side will you pledge your loyalties to-the Guardians or the Defiant? What class will you choose? What role? Could it be that RIFT is the new WOW (World of Warcraft)? There is only one way to find out. Watch how easy it is to install RIFT with our instructional video, then download the CrossOver Games trial version! If it works for you as well as it works for us, come back and purchase CrossOver Games for RIFT with our special 25% discounted offer, just for you! How do I get RIFT to work with Crossover Games on Mac? First, go to the RIFT website to purchase and download the RIFT game. Once you have a copy of the RIFT, watch our instructional video on how to run RIFT on Mac with CrossOver Games. When you have finished watching our short video, try CrossOver Games for free. If you like it, be sure to come back to this page to purchase CrossOver Games or CrossOver Professional at the discounted rate. What is the difference between CrossOver Games and CrossOver Bundle? 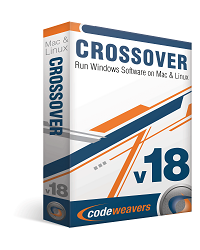 If all you are looking to run on Mac or Linux system is RIFT and other Windows games, CrossOver games is all you need. If you are interested in running Windows office software as well as running Windows games on Mac or Linux CrossOver Bundle is for you! For more information on the difference between CrossOver Games and CrossOver Bundle click here. If you use "UNITY" you can receive a 30% discount on CrossOver Bundle, our second dealcode is "CXSOC" and it is good for a 25% discount on any CrossOver product. The Wine development release 1.3.23 is now available. Support for stubless COM proxies on x86-64. Builtin dxdiag now outputs real information. Monochrome bitmap format in the DIB engine. Beginnings of a true shell Explorer builtin. A number of new D3DX9 functions. More support for Indic text shaping. 19762 RollerCoaster Tycoon: Rename dialog for attractions not shown (but usable). 24350 Lord of the Rings Online Hardware Pixel shader enabled exits the game on startup. Today we’ll be talking with Tom Wickline, leader of the Bordeaux Technology Group, a company specialized in development of Windows compatibility software, supporting Linux, FreeBSD, PC-BSD, Solaris, OpenIndiana and Mac OS X.
TuxArena: Hello there Tom, thank you for being with us today. 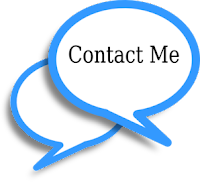 You’re welcome – I always like talking about Wine and projects involved with Wine. TuxArena: What is your position at Bordeaux? What other projects are you involved with? My position at Bordeaux is release manager and public relations. I also help code the script parts of Bordeaux, a couple examples would be our custom winetricks script and our build script. As for other projects, I have a Wine centric news site that I run : Wine Reviews. I’m also an admin at Linux Gamers. TuxArena: Please tell us, what is Bordeaux? How is it different from Wine, and what does it have in common with Wine? The Bordeaux Group 50% off sale will end on Sunday June 19th 2011. The price for Bordeaux for Linux and BSD will go from the current $10.00 per license to the normal selling price of $20.00 per license. The price of Bordeaux for Mac and OpenIndiana will go from $12.50 to $25.00 per license. The price of Wineskin Pro will remain the same at $29.95 per license. Starting on Monday June 20th 2011 50% of all sales over the next two months will be donated to the "Wine Party Fund" (WPF) to help support WineConf 2011. If you don't currently need to run Windows Applications or Games on your system but you would still like to make a donation you can use our PayPal donation page to donate. All donations made through our donation page will be given to the Wine Project. Wineskin is a tool used to make wrappers to run Windows software on Mac OS X. The wrappers are in the form of a normal Mac Application, which can be double clicked and ran just like its native. 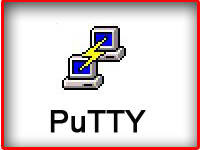 They can also be used to make a distributable port of software. You do not need the Windows program's source code, you can attempt to port any program you want. With Wineskin Pro you will receive basic support for installing and configuring the Wineskin Application. We will also answer questions about installing engines and configuring wrappers, and in the near future provide custom engines that have been tested to work with today's most popular Games. Unlike other solutions you can have multiple engines (Wine versions) installed at one time, so if your favorite game runs in that engine you don't have to worry about it breaking in a future Wine release. The Bordeaux Technology Group is a software services and development company specializing in Windows compatibility software. Users of Linux, BSD, OpenSolaris and Mac systems from time to time find themselves in the need to run specialized Windows software. The Bordeaux suite enables access to these programs and data in a seamless and low cost manner without requiring licensing of Microsoft Technology. The Bordeaux Group also provides migration services and support for alternative operating systems specializing in Windows compatibility. There is a multitude of software developed only for the Windows operating system and even when software vendors port their applications to another platform, generally it lacks features that the Windows version contains. The only solution these developers face is to have access to both systems for testing which leads to increased infrastructure demands, and wasted project resources. If you are vendor interested in supporting your application on Linux, BSD, OpenSolaris or Mac OS X or a software user that needs to run a Windows application on Linux, BSD, OpenSolaris or Mac OS X we can help. Here it is time for new q4wine release tagged by the 0.121 version. Released sources and packages are available in our downloads page. The racing simulator rFactor on Mac and Linux! Don't get left in the dust Mac and Linux users, play rFactor today with CrossOver Games! Arguably, one of the best computer racing simulators, rFactor aims at being one of the most accurate simulator of its time. Play with a computer steering wheel, joystick or even a keyboard. To learn more about rFactor, visit the rFactor website. How to play rFactor with CrossOver Games 10.1? First, watch our instructional video on how to install CrossOver Games in order to run rFactor on Mac. Once you have finished watching our short video, download a free trial of CrossOver Games. If you like it, be sure to come back to this page to purchase CrossOver Games at a 30% discounted rate. If all you are looking to run on Mac or Linux is rFactor and other Windows games, CrossOver Games is all you need. If you are interested in running Windows office application as well as running Windows games on Mac or Linux CrossOver Bundle is for you! For more information on the difference between CrossOver Games and CrossOver Bundle click here. The Bordeaux Technology Group released Wineskin Pro 2.3 today. Wineskin Pro 2.3 has file associations fixed, bug fixes for Custom Engines, confirm quit dialog option, bug fixes for the menubar, a small bug fix for the Advanced window. A full change log is provided in the new features section. This release also has a custom built Xquartz X11 server that Microsoft Windows Games require to run in full screen mode. We also provide binary Wine builds as well as binary CodeWeavers CrossOver builds from their public source code. Wineskin Pro also comes with Graphical tools to assist you in installing and configuring Wine as well as building your own custom Wine builds from source. Wineskin Pro 2.3 will run on any Intel Mac computer with OS X 10.5 or higher installed. This released has also been tested on the upcoming OS X 10.7 Lion release. The cost of Wineskin Pro 2.3 is $29.95 and comes with six months of upgrades and support. At this time we don't offer support on a per Game or per Application basis, the best way to know if a application or game will run with Wineskin Pro is to take a look at the public Wine AppDB at WineHQ. With Wineskin Pro you can have multiple Wine versions installed at one time, so if a new Wine release fixes one Game and breaks another you can still play both of your Games with Wineskin Pro! File associations are fixed, including just running a .exe straight from Finder. Custom Engines should now work fine using any name you want to use. Confirm quit dialog option available. The default Menubar name should now be the original wrapper name when its created instead of just "Wineskin Wrapper". The Wrapper version and current engine being used show up as text on the Wineskin.app Advanced window. The Wine development release 1.3.22 is now available. Support for Indic text shaping. Generation of stubless code in the IDL compiler. Support for X files in D3DX. 4- and 24-bit bitmap formats in the DIB engine. 24683 Upper left corner of Epicenter setup heading is corrupt. 25942 Wine's implementation of d3dtypes.h does not work with ISO C++. 27250 Prey receives a truncated hostname from hostname.exe ? Wineconf 2011 will be held in Minneapolis Minnesota this year and hosted by CodeWeavers Inc. If you would like to help support Wineconf 2011 this would be a good time to make a donation to the WPF or purchase a product from Codeweavers. Below is a copy of the announce e-mail that Jeremy White sent to the Wine Development mailing list. We thought that this year it would be fun to stay in downtown Minneapolis, as there is quite a bit to do there. Further, at that time of year, the weather has a good chance of being beautiful, so it will hopefully be a great time for all. I checked, and only very rarely has it been below freezing on October 1 . (Seriously, it's usually very nice. Really. Trust me). If you are interested in WineConf, and have contributed to Wine, but are not sure if you can afford the travel costs, please write to me. The Wine Party Fund is used mostly to defray travel costs these days and we may be able to help. Note that most further communication will happen on the wineconf mailing list; if you're interested, you should subscribe.